"The Power Of Stormhold" is one of the initial six Ltd. ed. 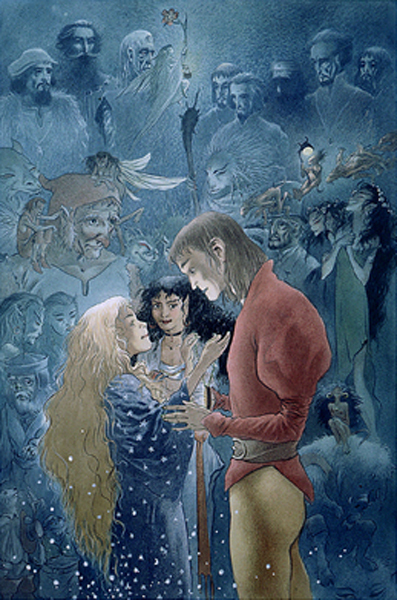 s/n lithographs form the novel "Stardust" by Neil Gaiman, illustrated by Charles Vess. Image size:9"w X 14"h. #255/300. Signed by Charles Vess and Neil Gaiman.